Tips, inspiration, plus FREE and paid resources from 17 French teacher-authors! 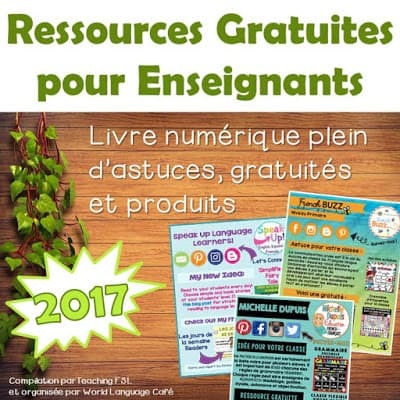 Click the image above to grab the FREE French e-book from 17 French teacher-authors for freebies, tips, and links to great paid resources! And what’s best of all is that there are resources for pre-k to high school, so no matter what you teach, you’re sure to find something great!